TORONTO - April 13, 2017 - PRLog -- On Easter Sunday (April 16) from 12:00 to 2:30 p.m., Good Shepherd Centre (412 Queen Street East) will be serving a meal for the homeless and others in need in our community. The meal is served free of charge. 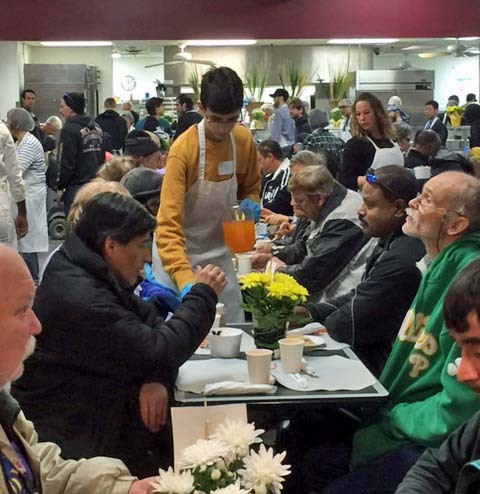 Good Shepherd Centre is preparing to serve 1,600 meals this Easter Sunday. Guests will enjoy turkey, stuffing, cranberry sauce, mashed potatoes with gravy, and mixed vegetables. Dessert will be pie. Each guest will receive a chocolate treat. What is entailed in preparing and serving 1,600 meals? 60 volunteers will help to serve the meal and undertake various other volunteer activities. A registered charity located in downtown Toronto, Good Shepherd Ministries provides food, shelter, clothing, medical care, and other vital services for people struggling with poverty and homelessness. Good Shepherd relies on generous support from the community so that its services can be provided free of charge and without distinction. For more information, please visit http://www.goodshepherd.ca/ or visit us on Twitter @goodshepherd_to.